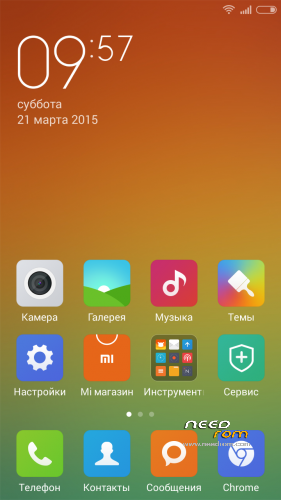 "Стоковый" вариант MIUI. В ней ничего нет. Перевод отличный, все работает. Рут встроен! Нужно ставить гапсы. 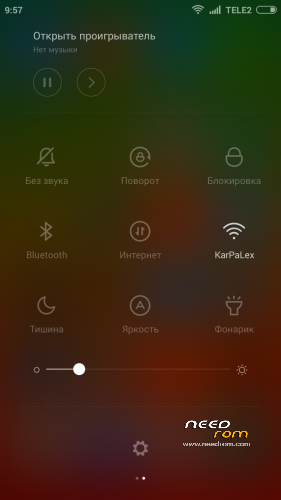 Ссылка под спойлером "Скачать"
"The stock" version of MIUI. It's nothing. Translation is excellent, everything works. Ruth built! Need to put franca. Link under the spoiler "Download"
Is it multilang or not? I have tried them all three, but all of them are Chinese, Russian and English only. Also, there was no root and I couldn't use SuperSU or Superuser. They simply did not connect to update the data base. Same with Google - did not connect and couldn't initiate to connect to my account. But all this could have been my fault, who knows?! It's a GREAT effort anyway to finally bring MIUI V6 to the G3S – thanks a lot to the developers of the port!! Is there any way to translate the rom to our language? In miui forums there are some tags about translating or installing language packs, are they suitable for these roms? Right, english would be very cool, BUT as mentioned in one of the other threads - I wouldn't blame chicky777 for that, as we should be happy that anybody is posting new MIUI ROMs for the G3S at all. Even though it is not as comfortable as reading posts in english, we all can use Google to translate what he is saying. Nothing easier than that Peace!! Английский в этой прошивке есть. Thank you a lot for your efforts, chicky777!!!! is this ROM support "double click/tap wake the screen" like the fiture on G4S? ?